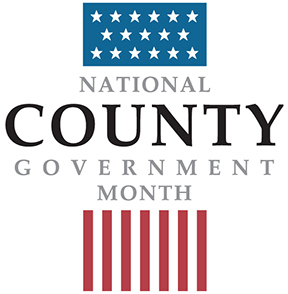 April is National County Government Month; it's an opportunity for you to learn more about the services and functions of Monmouth County government. Check back every day this month for a new County fact! April 1: Monmouth County is conducting its 5th Annual Food Drive this month; 12,000 pounds of food were collected in 2015, let's beat that this year! April 2: In 2015 the Division of Weights & Measures tested approximately 10,000 weighing and measuring devices for businesses. April 3: The Clerk of the Board's Office processed 1,152 resolutions and approximately 1,000 OPRA requests in 2015. April 4: With over 50 Assistant Prosecutors and more than 80 Detectives, the Prosecutor's Office is the largest law firm in Monmouth. April 5: In 2015, the Monmouth County Division of Consumer Affairs met with more than 2,000 seniors, educating and informing them about current scams. April 6: The County Park System offers 137 miles of trails for residents to use to stay healthy and enjoy nature. April 7: The Monmouth County Mosquito Control Division sent 1,200 ticks for testing in 2015. April 8: The County's Division of Workforce Development hosts seasonal job fairs at Brookdale Community College. In 2015, more than 120 employers met with 1,400 job seekers at each event. April 9: The Monmouth County Office of Emergency Management responded to 50 incidents in 2015, ranging from weather events to major structure fires. April 10: Monmouth County has been awarded a Triple-A bond rating for 18 years running and is one of only 39 counties awarded this rating in the United States. April 11: "Monmouth in Focus," the County's monthly TV show, can be seen on YouTube, accessed through www.visitmonmouth.com and seen on the Brookdale TV channel. April 12: The Monmouth County Clerk's Recording Office processed 117,000 land records generating almost $58 million dollars in revenue for the state and County. April 13: The Monmouth County Library boasts a collection of 1.5 million books, more than 100,000 DVDs and a total collection of more than 1.75 million items for patrons to borrow. April 14: The Park System had 1,175 volunteers who donated 26,535 hours of their time in 2015. April 15: Monmouth County sees about 6 million tourists each year. April 16: Monmouth County's Health Department collected more than 730,000 pounds of hazardous waste in 2015. April 17: The Monmouth County Clerk's Elections Division processed 15,507 Vote by Mail applications in 2015. April 18: The County's Division of Workforce Development assisted 1,500 clients over the course of the 2015, with 500 enrolled in training to improve their skills. April 19: 2.4 billion dollars were spent on tourism by visitors to Monmouth County in 2015, up 5.3% from 2014. April 20: The Monmouth County Mosquito Control Division responded to more than 650 calls in 2015. April 21: Monmouth County government has provided funds to support mental health treatment services for residents since 1958. April 22: The 13 Monmouth County Library branches saw an estimated 1.3 million visitors in 2015. April 23: The Monmouth County Office of Emergency Management completed five STORM (Seniors Taking on Readiness Measures) programs, educating 205 senior citizens in 2015. April 24: The Monmouth County Clerk's passport offices assisted more than 13,000 residents with passport applications in 2015. April 25: The Monmouth County Police Academy has graduated more than 2,000 police officers and trained several thousand other law enforcement officers through continuing education programs. April 26: The Monmouth County Reclamation center took in more than 380,000 tons of solid waste in 2015. April 27: Monmouth County Façade Improvement Program grants have been awarded to more than 60 completed projects, which translates into more than $100,000 to businesses for upgrades to their buildings. April 28: 33,082 people are employed in tourism related jobs in Monmouth County, which is 10% of the County’s total employment. April 29: The Library System now has nearly 79,500 eBooks available through Library on the Go!